You are here: Home / Guitar Effect / Compressor Pedal: What It Does To Your Music? Compressor Pedal: What It Does To Your Music? 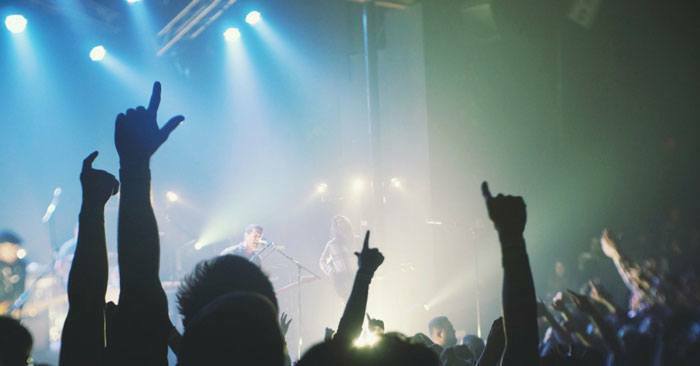 Playing with a band in a live performance is not as easy as Rock stars make it look like. Yes, I know you too have encountered problems on stage, especially on your mix. When you already have a decent selection of stompbox in front of you, controlling and mixing the volume becomes more crucial. If you are not careful, you may overshadow the whole performance instead of complement each other. There are times that your sustain is just too short and too weak. How do you avoid that? Is there a way to balance that out? Fortunately, there is a gadget that can balance out your sound before it comes out of your speaker cabinet. When you hook your guitar on a compressor pedal, as the name suggests, it compresses the signal to level your volume. If you play hard, you sound loud. If you play soft, your music is subtle. If you are new to this, you may not even recognize it is turned on. It is a very subtle effect that normalizes the dynamic range of the audio signal. Most generic compressors have at least two knobs. One knob sets the level of your mix and the other sets everything else. More advanced units are being released to have better control over the parameters of compression. 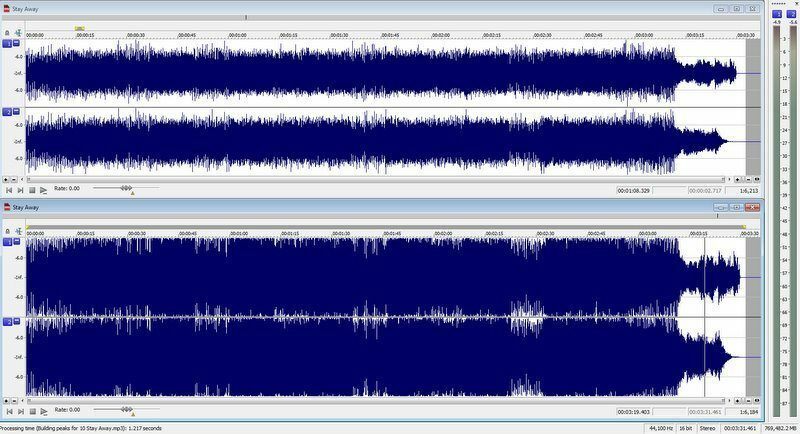 The image shows the difference between a compressed audio and the original waves. Similarly, this is a visual representation of what a compressor pedal does. You may have noticed that whenever you strike the strings, you get a blunt scratchy sound just before the strings ring. Now depending on your music, this can sometimes be unnecessary and can be omitted. When you are soloing on overdrive, you might find the strike overwhelmingly loud. With a compressor, this can be dampened giving you a cleaner sound. By default, the threshold knob is set at zero on 12 o’clock position. Dialing it clockwise would increase the compression rate and will dampen the high peaks of the sound waves which gives you a cleaner less noisy strike. At the opposite, dialing it low will amplify the weak signals rather than tapering the high signals giving you more sustain. It is very easy to get carried away when playing live in front of a crowd. The more the crowd enjoys the music, it’s a natural tendency to jam hard. Without a compressor pedal on, you might overshadow everyone else in the band. With a compressor pedal switched on, you can scratch as hard as you can without worrying about your sound balance. Being too loud is not the only problem on stage. When you are playing mellow pieces, you may find your sustains weak and too short. Activating your pedal can help you prolong sustains to bring that subtle ring. This is done by adjusting the attack/release knob which determines how soon the compression kicks in. By increasing the attack, it shortens the time the effect kicks in. When you dial it low, it will increase the sustain. The more advanced compressor pedals have a few more knobs that enable you to have better control over the processing of the signal. Some effect units have ratio knobs that gives you control over how much output you get for every dB above the threshold. Example, a 2:1 ratio gives you 2dB output for a 4dB signal above the threshold. A 10:1 ratio gives you 1dB output for every 10dB signal above the threshold. The image shows a blue diagonal straight line as the strength of the signal and the broken line is the threshold. The 2:1 ratio line is the midpoint between the peak and the threshold meaning that the signal above the threshold is cut in half. The 10:1 ratio line shows you the compressed 1dB output after the compression. A compressor can taper your volume and prolong your sustain depending on your playing style. Having it switched on can limit excessive output and even out your volume with the other players. To better understand what does a compressor pedal do, hook up one on your rig and position it after your filter effects and before your heavy effects. Remember that the placement of your pedals on a chain affects your output. Experiment and look for the most practical setting for recording or playing with your band. If you have enjoyed reading this and for your questions, leave a comment below, and I would be happy to check back on you! Besides that, you can also see video below to find more about what does a compressor pedal do. Best Distortion/Overdrive Pedals For Tube Amp! Boss TU-2 vs TU-3 Chromatic Tuner Pedal Review !! Electro-Harmonix Micro POG vs Nano POG Octave Pedal Review !! Boss RC-1 Vs RC-3 Vs RC-30 Vs RC-300 Loop Station Review ! Boss CH-1 Vs CE-5: The Best Chorus You Want For Your Rig! Ibanez Tube Screamer TS9 vs TS808 Review !! Boss DD-3 Vs DD-7 Digital Delay Pedal Review !! Top 3 Best Overdrive Pedals For Metal !! The 3 Essential Guitar Pedals To Make Your Music Sound Like A Pro !! The Best Boss Pedals You Should Buy !! How To Use A Distortion Pedal Without Any Affliction? Advisormusic.com is a participant in the Amazon Services LLC Associates Program, an affiliate advertising program designed to provide a means for sites to earn advertising fees by advertising and linking to Amazon.com. Amazon, the Amazon logo, AmazonSupply, and the AmazonSupply logo are trademarks of Amazon.com, Inc. or its affiliates.